Finally! 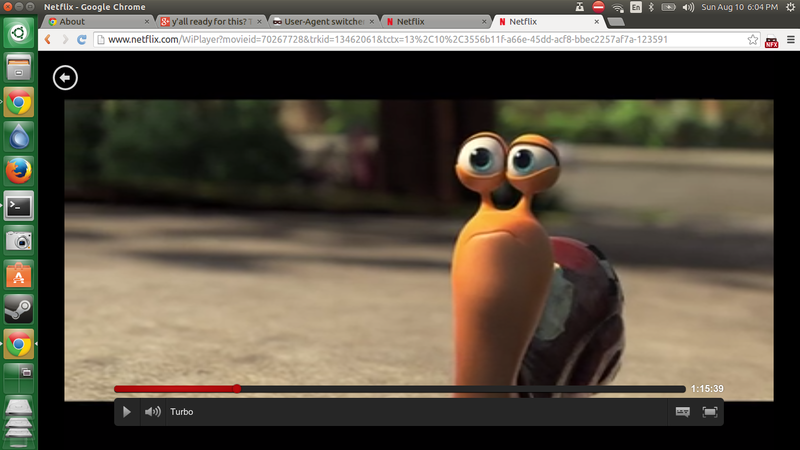 Get Netflix to work in Ubuntu 14.04 (and Linux) the super easy way! This is a dream come true. Though there are ways to make Netflix work in Ubuntu 14.04 (like using Pipelight for example), this must be the easiest. All you need is the latest Google Chrome from dev channel and an extension called User Agent Switcher. That's it! Let's get started. 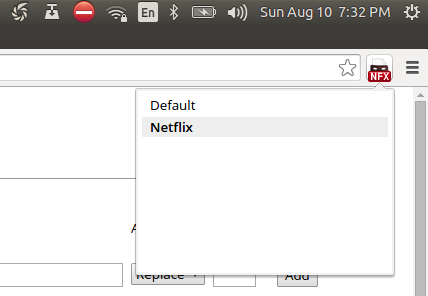 [How to] Get Netflix to work in Ubuntu 14.04 using Google Chrome! 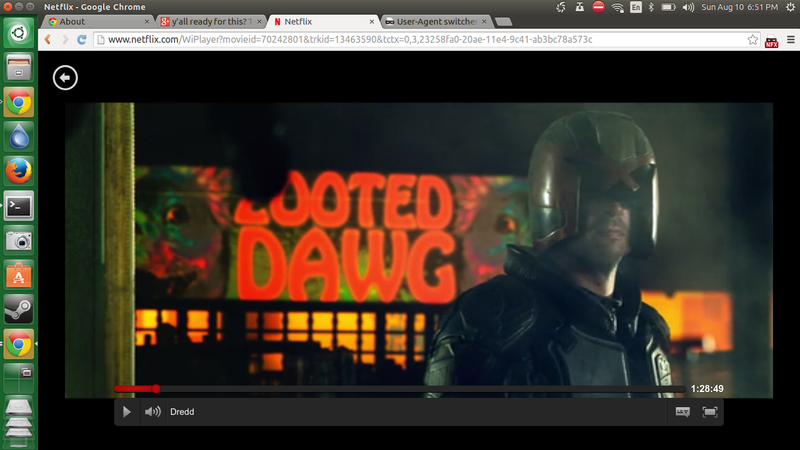 Thanks to Nathan VanCamp and his "prying" eyes, it is now possible to watch Netflix movies in Linux using Google Chrome and a simple User Agent Switcher extension. Here's how it works. Download following dependencies first (not needed if you're on Ubuntu 14.10 Alpha and other Linux distros like Fedora 20 or Manjaro Linux, just skip to Step 6 instead). EDIT: Add Ubuntu GNOME 14.04, elementary OS Freya to the list of supported distros! Doing this will also result in "broken-packages" error (nothing serious as far as I'm concerned). If you don't want that error appearing, skip the installation completely. Install the packages using the following commands* (a simple double click on the just downloaded DEB packages will also do the same, but I prefer command line). *Change the paths depending on your download destination. Done. 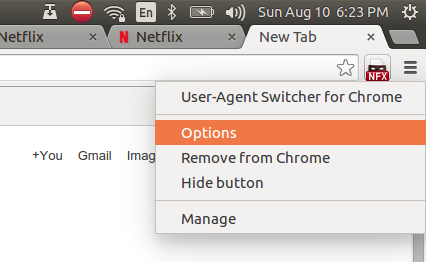 Download and Install the User Agent Switcher extension for Chrome. Right Click on the extension - go to "Options" page. Fill in the following details. Note: "New User-Agent String" is the most important part here. Rest of the text can be anything. Use them for your own ease of use. Resulting screen will look like this. Done. Now login to Netflix and you'll see the change. I have been watching movies non-stop since. Here's another screenshot. Note: I have used Nathan VanCamp's instructions with some modifications to make Netflix work in Ubuntu 14.04 LTS. For example, he was using Chrome v37 from beta channel while I was using Chrome v38 from dev channel. See Nathan's instructions and comments for further clarifications. I give no guarantee that this will work for everyone (though I hope it does! ).